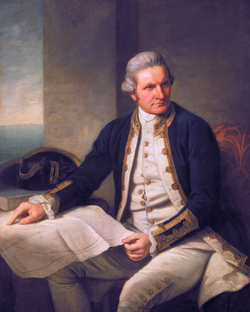 When the English navigator and explorer James Cook entered the far Pacific in the late 1700s he found that nearly all the islands were already inhabited by people whose language and culture were remarkably uniform. He appreciated their skills in building, sailing and navigating large canoes over oceanic distances, and he offered his ideas as to how they were able to reach the distant islands. Since Captain Cook's time, many people have questioned how these people traveled great distances out of sight of land to colonize new, unknown islands. What scholars have realized is the fact that the true "discovery" of Polynesia occurred long before the arrival of the first Europeans.